Limited availability for boarding during the summer months. The dogs at the K9 Cabin that are here for an extended stay participate in “sleep-overs”. As owners of K9 Cabin, we sincerely care about the welfare and happiness of your pet. We have many loved pets of our own, and we know it is not always easy to find the proper care for them when they cannot be with you. 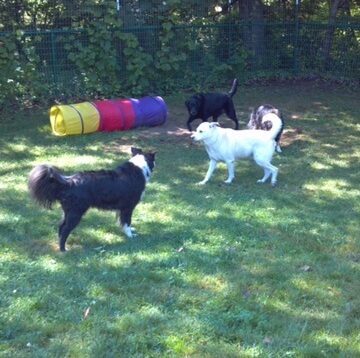 We are committed to improving the lives of every dog we meet and to make their visit fully enjoyable at the K9 cabin. We invite you to our facility so you can feel comfortable leaving your pet with us and know that they will be happy while you are away.